Years ago, before I started Whipstitch, I was a schoolteacher. Schoolteachers are not, as a cultural group, widely known for their fashion sense. For the most part, I suspect I dressed like a sad librarian. I know this because the most common days on which I received compliments from my students for looking “nice” were the days when I DIDN’T get dressed by choosing the top thing from the unfolded pile of clothing and instead ironed something that had been in the closet. Short version: I didn’t dress like I cared all that much about how I dressed. But that wasn’t a wholly accurate reflection of how I felt on the inside. In point of fact, I cared a great deal about how my clothing fit and looked. I was (and remain) particularly focused on silhouette, and in how garments work together to create a pleasing whole when layered and combined. Most of my inspiration came from magazines and window shopping–this was before the internet, so I couldn’t Pin my ideas or create a virtual inspiration board. Instead, I tore sheets from fashion magazines and made literal, actual, old-school bulletin boards of looks and colors that I loved, that I felt reflected on the outside how I saw myself on the inside. A teacher’s salary, though, wasn’t really up to the price tag of my taste level. Most of the clothes that I admired were far beyond my reach financially. I did most of my shopping at discount outlets, and occasionally would find a real treasure at thrift stores or consignment shops. Often, I was able to get pretty close to what I wanted, even if it wasn’t exactly the right color or the fit was just a little bit off. What I knew, though, was that I could sew. Not very well, not right out of college, anyway. But it was a possibility. And so as I tore sheets out of magazines, I collected patterns on sale at the big box stores, and bought yards of fabric that I thought might do the trick to flesh out a copy of a style I’d become enchanted with in a shop window. I can remember some dismal failures. The pair of palazzo pants (one surprisingly savvy college skateboarder I knew called them “Mary Tyler Moore pants”) that had a drawstring waist which must have measured a minimum of 72″ around. The poly-chiffon “spaghetti” strap dresses with “French” seams (they measured about an inch each, finished, and I’m pretty sure the French would have disavowed any relationship to them) that had almost no shape and truly tragic puckered, uneven hems. But there were also some true winners in the mix, like the white pencil skirt I made with a lace inset above a pretty pleated hemline. It looked almost identical to the $138 skirt I’d seen at J.Crew, but it cost less than $12 and took only a few (really enjoyable) hours to sew. Over time, I tried to go back to the stores where I used to just window shop, to browse the sale racks or maybe splurge on a brand-new this-season piece using a gift card from my birthday. On occasion, I found something that inspired me the way those magazine pictures used to. With very few exceptions, though, the reality just didn’t live up to the dream. Like I’m hearing from a lot of other folks, shopping at some of the stores that used to carry garments I would have gleefully spent my lottery winnings to own, stuffing them into shopping bags with wild abandon, each style in three different colors, toting them delightedly home to fill up my closet with glorious fabrics and limitless options…it doesn’t hold the joy it used to. For lots of different reasons, I think, but mostly because they’re just NOT THAT GOOD. The fabric seems to be really cheap. Tee shirts that should last years sag and gape within a few wearings, and don’t tolerate washing well. They wear thin really quickly, and the stitches pop. Woven garments have sloppy, flimsy finishing techniques, and seem like they were made in a hurry with the least amount of effort possible: serged hemlines, careless construction, weak seams. The workmanship on a lot of these garments, expensive garments that women I know salivate over from places like Anthopologie and Banana Republic, stores where there has been at least SOME expectation of quality in the past, is really poor. The clothes feel cheap, but they are NOT inexpensive. When I started looking around and seeing this trend, I felt frustrated. And then I felt disappointed. I mean, FOR REAL. At those prices? We should be able to do better. But THEN! I realized that I didn’t feel frustrated, or disappointed. I felt EMPOWERED. I already knew I could make clothing that mimicked the styles I admired. What I really thought was: I know about how much the supplies cost for these garments, so how can I possibly rationalize paying their sticker price? The mark-up is HUGE in some cases, and the workmanship didn’t seem to justify the cost. I went back to that pencil skirt with the inset lace and pleated hem. The construction was a LONG way from perfect. But you know what? It wasn’t that much worse than the workmanship I saw in stores. There was totally room to grow in my skills, but the potential was there. 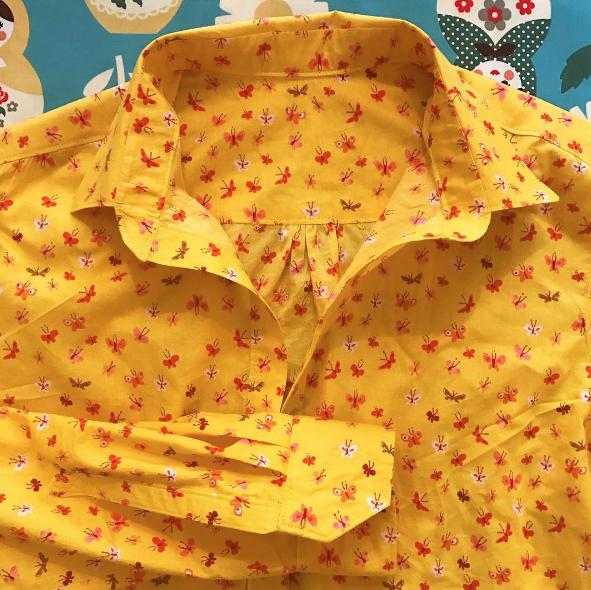 I was inspired in a whole new way than before–this time not to reach the heights of the clothing I saw in windows and magazines, but instead to build a wardrobe of clothing MADE BY ME that I could get excited about. I’m a long way from being the only one. I think you’re feeling a lot of what I’m feeling, right? You’re frustrated that the clothes in stores don’t fit YOUR body–as if there’s something wrong with you, when all of us know perfectly well it’s the fault of the clothes. Or you feel strongly about the conditions under which garments are manufactured these days. You want to avoid “fast fashion” and seek out alternatives that are more sustainable and that you can feel good about. Or you have ideas of your own about how you want your clothing to look and feel, but can never quite find it in the shops. 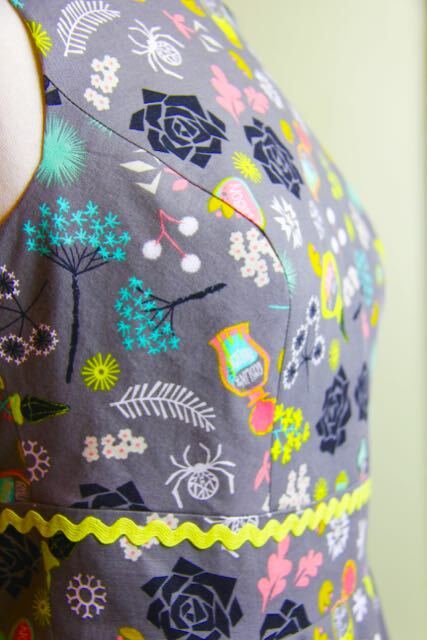 The League of Adventurous Dressmakers is for you. I launched the League last year as a place for all of us to become Sewing Superheroes, people who want to sew better clothing, period. We want to make clothing to suit our individual style, our body size, our standard of quality. And we want to do it with solid skills and the best results we can get. 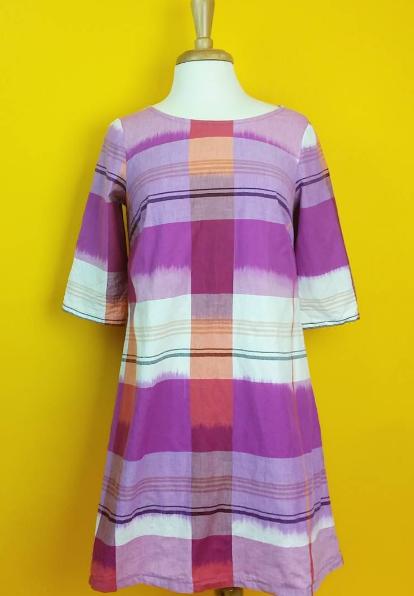 We do that through focused lessons on specific sewing techniques, broken down to their core elements so they can be learned and applied in very practical ways, to projects we know we will use and love. We are encouraged by one another when we share our projects and see what everyone else is working on. And we’re motivated to keep sewing as we create a reference library of tools and skills that we can dip into again and again. Not to get all super serious, but this past year has been one of THE BEST YEARS I have ever experienced as a seamstress. I have felt so excited and empowered, in ways I can’t even begin to put into words. My garment making has been INFLAMED this year, and I have been more satisfied with every single thing I’ve made. I really didn’t expect that when I launched this club last year, honest I didn’t. I thought it would be a fun group that would benefit members, and where I could play, too. But I could never have predicted the level of enthusiasm and encouragement that I got out of the group FOR MYSELF, in addition to the enormous reward of getting to know these women and see them sewing and so excited about what they were making. It has been magical, truly magical, from start to finish. Not to mention the fact that I’ve done more sewing for myself in the past twelve months than I had in the previous THREE YEARS combined. That alone was worth the work. Join us! We need your strength and we want your companionship. Come find your people, the ones who know that we can SEW BETTER, TOGETHER. Learn more about the League here. Registration is open and space are limited! Come spend 2017 with us and make your garment sewing the very best it can be. 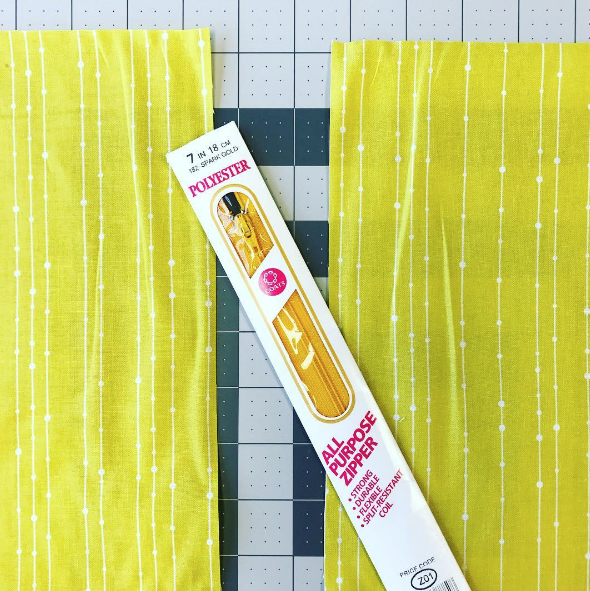 ← The Murder Mystery Quilt and The League of Adventurous Dressmakers: BACK FOR 2017! I’m super excited about next year’s year’s League! Thank you for all of you hard work and enthusiasm!! Hooray, hooray!! I think it’s going to get EVEN BETTER. Hi, Sabrina! 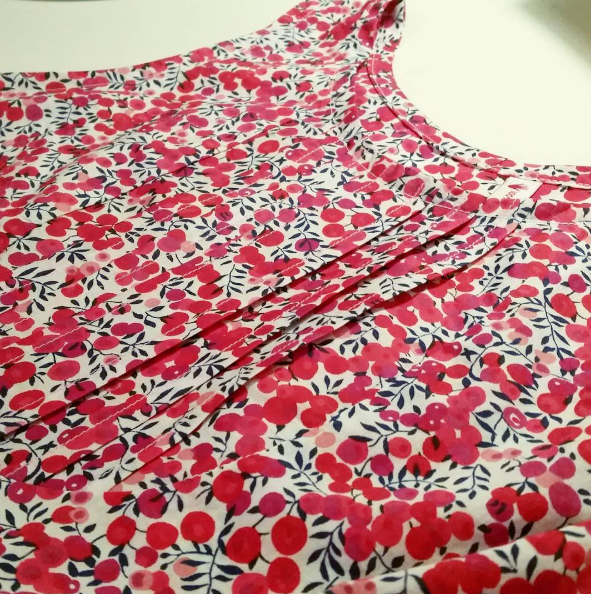 Some of the patterns are smaller–for example, this year we had a lesson on hems, and the pattern was literally mini, a scaled version of a circle skirt to practice on. 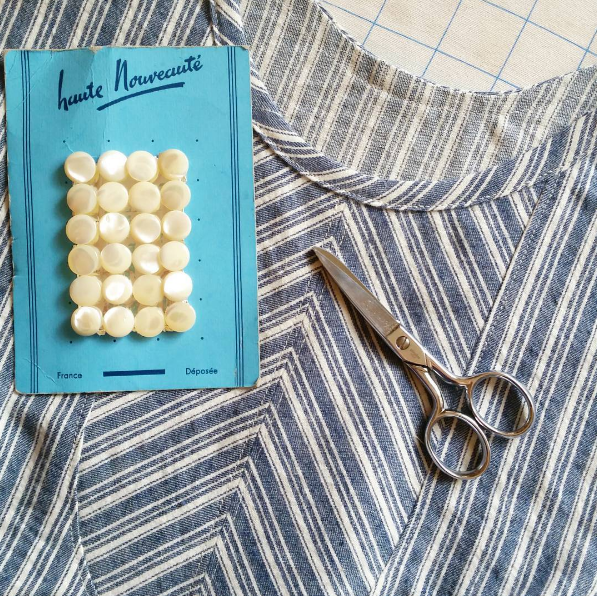 Other patterns are simpler, like an inset panel for a tank top we did in an earlier lesson, making a smaller amount of sewing in one month to practice the skill, but applying it to a larger pattern to make it practical and useful. This year we will work on how to adjust bustline darts and get a better fit there, and work with a skirt that allows for addressing fit issues at the waistline, in addition to always opening discussions up for questions about fit! There are a lot of resources and I’m always happy to share book titles and blogs and links that I think will help answer your specific questions better and lead you to the results you want. Hope those details help, send more questions my way if you have them! I wanted to ask if there’s a way to contact you directly? Apologies posting in a comment box but I don’t see another way of writing you directly!